Workmanship Warranty - Victor Aviation Service, Inc.
value over time. See Aircraft Resale Value Comparison. 750 hours whichever occurs first. Pro-Rate Coverage is an Additional Warranty Coverage beyond the initial 100% coverage period extending coverage for a longer period of time. After the initial 100% Limited Warranty coverage expiration, Victor Aviation Service, Inc. will reimburse a prorated portion of the charge for a warranty repair based on the hours flown or months in service. Prorate means that there will be an adjustment on the portion of payment to be made on a warranty repair. Aircraft Cylinders, Engine Parts, Accessories or Vendor Supplied Services are warranted directly by the manufacturer or vendor of the part, and are not warranted by Victor Aviation Services, Inc. Labor and Parts Required for compliance with Service Bulletins and Airworthiness Directives are not warrented by Victor Aviation Service, Inc.
FURTHER DETAILS APPLY SUBJECT TO VICTOR AVIATION SERVICE, INC.
EXPRESS LIMITED WARRANTY FOR WORKMANSHIP DISCLAIMER OF MANUFACTURERS WARRANTIES AND LIMITATIONS OF ALL ACTIONS. 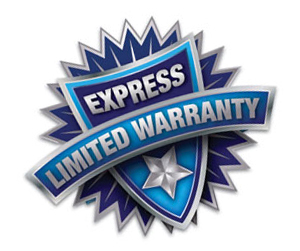 WARRANTY PERIOD SHALL BE ACTIVATED UPON SHIPMENT DATE OF ENGINE TO CUSTOMER. NON TYPE CERTIFICATED HOMEBUILT OR EXPERIMENTAL CATEGORY AIRCRAFT EXCLUDED FROM COVERAGE.